Shaun is an electronics salesman in England. Shaun's stepfather, Phillip, belittles him. His girlfriend is disgusted with him because he includes his best friend Ed in their weekly date at the Winchester. Shaun forgets to book a table for his and Liz's anniversary. She can not take anymore so she dumps him. He and his best friend Ed go to the Winchester pub to drink away his pain. They return home late to find Shaun's roommate Pete angry and suffering from a bite he got from a mugger. Disgusted with Shaun, Pete tells him to get his life together. The next day Shaun is suffering from a bad hang over and is to heartsick to realize that the town has been taken over by zombies. It is only after watching TV and having their house attacked by zombies do they realize what is happening. After Shaun and Ed fight the zombies with tools from the shed, they decide to go get Shaun's mother, Liz, and Phillip. They conclude the safest place to go is the Winchester. Pete has been infected from the bite he got the night before and has turned into a zombie. Shaun and Ed make their get away in Pete's car. Shaun and Ed go to rescue Barbara and Phillip. One of the zombies bite Phillip as they make their getaway. They all go to Liz's flat and saves her and her friends Dianne and David. While trying to get to the Winchester Phillip dies and becomes a zombie. They leave Phillip in the car and start out on foot. Along the way they meet Yvonne and her group of survivors. They find that the way to the Winchester is blocked by zombies and decide to sneak by them. Shaun and Ed get into an argument and draw the zombies attention. He creates a distraction and they are able get to the Winchester. Barbara, Shaun's mother, has been bitten while trying to get to the Winchester. Heartbroken, Shaun has to kill her. David is ripped apart by the zombies. Dianne reveals their location trying to save him. While making a Molotov cocktail to blow up zombie, Ed is bitten by Pete. Shaun, Ed, and Liz make it to the cellar. They contemplate suicide but find a service hatch. Ed stays behind with the rifle while Shaun and Liz escape. Once outside they get ready to fight the zombies again but the British Army arrives. They are rescued and find that Yvonne has also survived. Six months later, life has returned to normal for the uninfected survivors. The zombies have become labor and a source of entertainment. Liz and Shaun live together and keep zombified Ed in the shed playing video games. 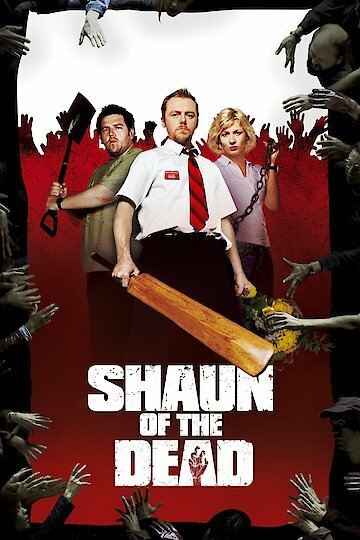 Shaun of the Dead is currently available to watch and stream, download, buy on demand at Amazon Prime, Starz, Amazon, Vudu, FandangoNow, iTunes, YouTube VOD online.